How to decorate a long wall in a bathroom is not only determined by budget in the pocket, but also the style and dimension of the bathroom. 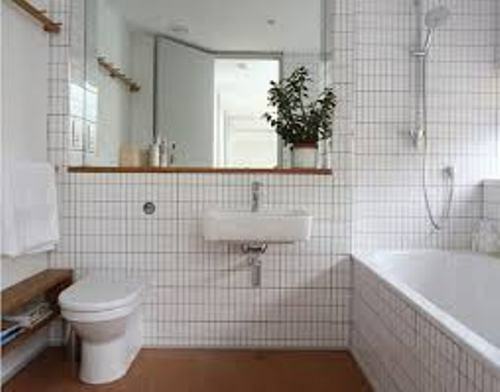 Even though the bathroom features the long wall, it will be overcrowded if the space is very narrow. 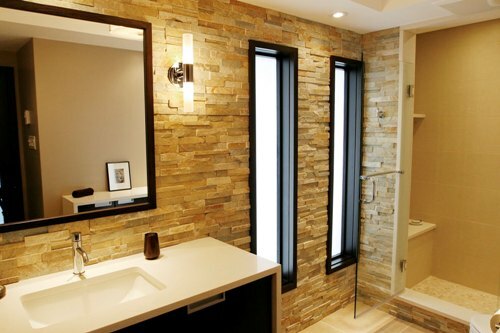 You can use a very simple idea to increase the style of the bathroom. If you pick the ornate design on the long bathroom wall, make sure that the space is very ample. Thus, the roominess and comfort in the bathroom is not interrupted. Here are the best tips to decorate a long bathroom wall. The narrow and long bathroom should never feature the complicated treatment. You just have to repaint the long wall with a bold, dark or hot color. Pick the color which never comes as the first option to decorate the bathroom. For instance, you can repaint the long wall in bold orange, while the other walls are painted in beige or tan. Other bold colors include violet, magenta, teal, emerald green and red. 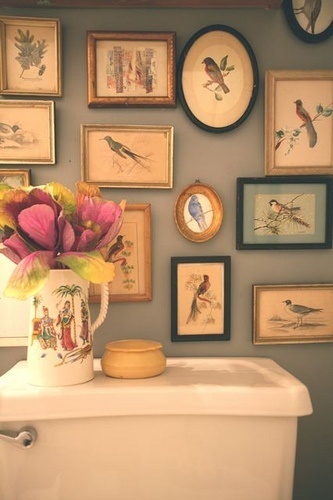 The long wall can be the source of bathroom art. You can install the mosaic tiled wall. Choose the ornate pattern. If you have a modern design, the mosaic pattern can be made in striped or even abstract design. It can feature the monochromatic color of white, black and grey. If you want rich feeling in the mosaic art, you can combine red, teal, purple and pink tiles. A floating wooden vanity can be used to decorate the long bathroom wall. You can pick the modern design which has clean and sleek lines. The top of the vanity can be decorated with scented candles, a vase of flowers and a framed picture. If you have a lot of bathroom essentials, you can keep them inside the vanity. Find ideas on how to decorate a large bathroom here. There are various wall hangings that you can put on the long wall. 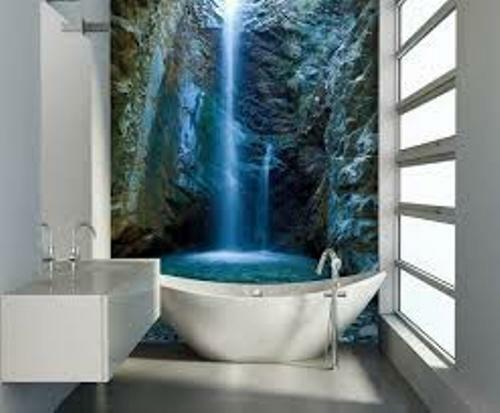 Pick the painting which can depict the bathroom interior design. The nautical bathroom design is impressive to decorate with a lighthouse painting. 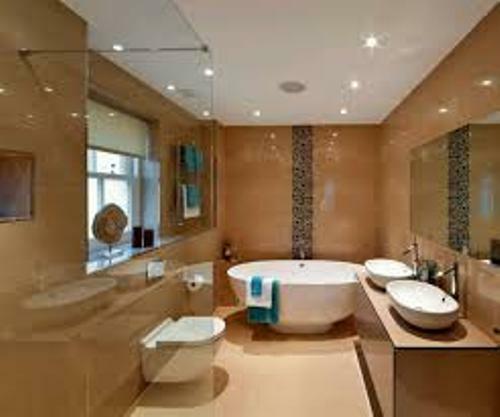 The functional items such as the towel racks, wall sconces, medicine cabinet or even mirror can be placed on the long bathroom wall. Do you like reading tips on how to decorate a long wall in a bathroom?